A port of call at Helsinki made it my first time visiting Finland. 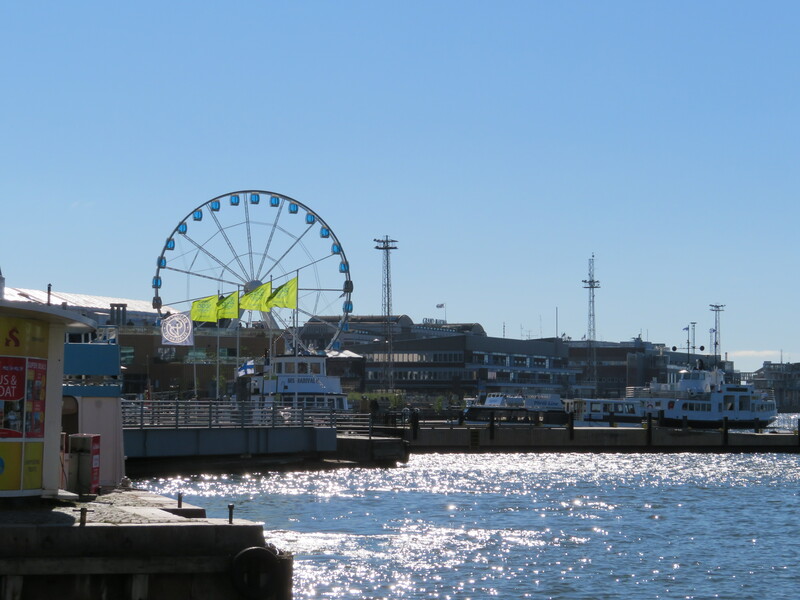 There are two different areas to dock in when visiting Helsinki, at the port where we docked there was a hop on hop off tour bus to take you around the city. Due to our visit falling on a bank holiday in Helsinki it meant that there wasn’t much open, so we felt the tour bus was the best option. Most of the sites in Helsinki including presidential palace and Helsinki city hall are within walking distance of market square. At market square you are able to catch a ferry that will take you to the fortress. During the spring to autumn months there is a market within the square selling local products as well as souvenirs and food/drink. Overlooking market square in the Kruununhaka district this central administrative building is the seat of the city council of Helsinki. The mayor of Helsinki as well as deputy mayors have offices located within the city hall. Overlooking market square this is one of the official residencies for the president of Finland. Helsinki cathedral was originally built as a tribute to the Grand Duke of Finland this was known as St Nicholas church until 1917 when Finland became independent. The cathedrals distinctive tall green dome is surrounded by four smaller domes it makes it a major landmark of the city, with its neoclassical style. Personally I found Helsinki Cathedral to be one of the most beautiful cathedrals that I’ve seen. An executive building of the council within senate square which houses the offices of prime minister as well as chancellor of justice. An eastern orthodox cathedral which is set upon a hillside on the Katakanokka peninsula overlooking the city. This is claimed to the largest orthodox church in western Europe. A monument located in Sibelius park which is dedicated to Finnish composer Jean Sibelius. Have you been to Helsinki before on a cruise or city break? Excellent post. I love in Helsinki, so I know it and all of my country. Are You going to visit other towns which are near to Helsinki?